Show your love with a special gift. When looking for ideas for love romantic crafts, you'll want to challenge yourself to put a clever spin on the traditional gifts for Valentine's Day, anniversaries, and other special occasions. A bouquet of fresh flowers sends the right romantic message, but sometimes it's nice to have a gift that will last more than a few days. If you put your creative talents to good use, you can make a bouquet that will be a treasured keepsake for many years to come. Flowers made from tiny seed beads sparkle and shimmer, making them an amazing addition to any bouquet. A basic rose is the easiest type of flower to make, but you can also find tutorials for creating daisies, lilies, and almost any other design you can imagine. See the LoveToKnow Crafts article How to Make a Beaded Flower Bouquet for tips on getting started with this project. Coffee filter flowers are simple enough for a child to make, but they still send the right message for anyone in search of love romantic crafts. Submerge the coffee filters in bowls filled with food coloring, then twist into flower shapes when dry. How easy is that? The LoveToKnow Crafts article Coffee Filter Flowers has more tips to help you with this craft. Folding paper flowers is another fun way to make a unique bouquet for a loved one. You can fold flowers that look surprisingly realistic if you select origami paper with two-toned watercolor patterns or interesting textures that help to mimic the look of real greenery. LoveToKnow Origami has several suggestions for how to start folding your own paper flowers. 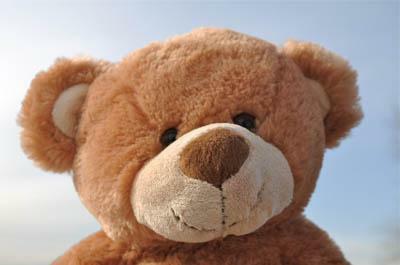 Stuffed animals are one of the more popular gifts for romantic occasions, but the problem is that stuffed animals on their own just aren't very practical. Try turning a special stuffed animal into a bookend or a scented air freshener to make for a very memorable gift. Once you've weighted down the stuffed animal, he can be a bookend on his own or you can glue him to a wooden block and add a special message for your loved one. Stuffed animals make great air fresheners for your home when they are dipped in a bath of scented soy wax. You'll need to be careful you don't burn yourself with the hot wax and remember to fluff your animal's fur with a comb when you're done, but this technique is a wonderful way to give a stuffed animal with sentimental value a new purpose. Learn more about how to make these special gifts by reviewing the LoveToKnow Candles article Directions for Making Soy Teddy Bear Candles. Decorated picture frames are a great gift for romantic occasions. Plain wooden frames can be decorated with beads, glitter, and acrylic craft paint to make designs to suit almost any taste. If you're feeling extra creative, you can even use silk flowers or candy such as Valentine's Day conversation hearts to embellish your picture frame. Take a look at some of the fancy picture frames in your favorite home décor magazines to see what inspires you!